Backed by the years of experience and knowledge, we are engaged in supplying, exporting and trading a wide range of Duplex Rod. 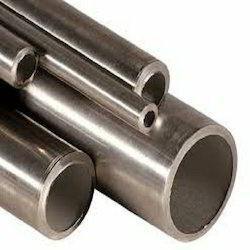 These rods are extremely robust in state and ensure long lasting service life. We are offering these products at reasonable rates. We are one of highly acclaimed companies that trade, supply and export an extensive range of Super Duplex Steel Sheets. Our products are dimensionally accurate and ensure long lasting service life. All these products are finely designed by the qualified professionals and experts of the industry. ASTM / ASME SA 240 uns no. S31803, S32205, S32550, S32750, S32760. UNS S32760 Super Duplex, also know by its trade name Zeron 100 has a micro structure 50% austenite and 50% ferrite. The material exhibits high mechanical strength with outstanding corrosion resistance in marine environments. 32760 typically as a min PREN of 40. 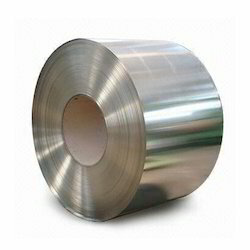 Due to these features the material is regularly used in place of the 300 stainless series, and on occasion in lieu of the more expensive nickel grades. 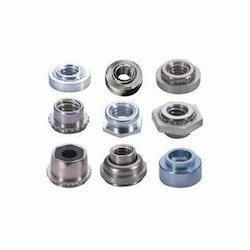 Keshariya Metal is the leading supplier, stockist, manufacturer and exporter of Super Duplex F55 Fasteners. 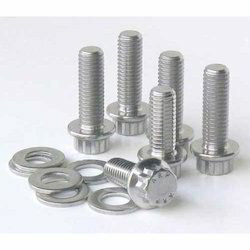 We provide Super Duplex F55 Fasteners that are made of double phase stainless steel. It is corrosion resistant and Cr-Ni-Mo-N pitting resistant. 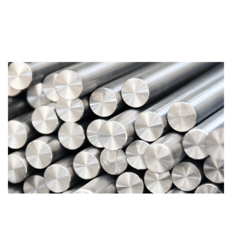 Our range of product is an austenitic and ferritic structural stainless steel and has a good mechanical and corrosion resistance. It is extensively used in case of parts, valves and pumps under pressure. It is also subject to corrosion and in case of centrifugal pumps. 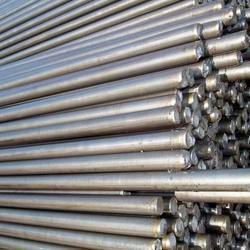 In the series of our products, we are engaged in offering an extensive range of Duplex Steel Round Bar to meet the needs of our clients. made up of high quality pure steel metal, these products are resistant to corrosion and abrasion. All these products are technically stable and are available in a round shape. Standards: ASTM / ASME SA 790. 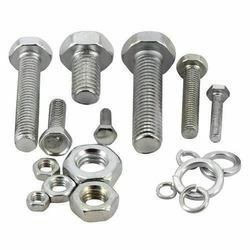 By utilizing modern machines and latest equipments, we are engaged in trading, supplying and exporting a wide range of Duplex Steel 2205 Fasteners. These products are strong and sturdy in nature and ensure long lasting service life. All these products are well known for their attributes such as high mechanical strength, durability and reliability. We are stockists of 31803 duplex alloys in sheet, plate, and bar directly distributed globally from our UK stockholding warehouse, combined with our large capacity cutting capabilities we can meet requirements for many industries. 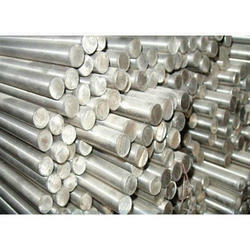 Stainless ferritic-austenitic Cr-Ni-Mo steel with nitrogen addition. High corrosion resistance, especially against stress corrosion cracking in solutions containing chloride. Resistant to intergranular corrosion in the temperature range up to 300°C. Heat treatment subsequent to welding not necessary. Surface condition for optimum corrosion resistance: pickled, heat treated free from scale or machined. Keshariya Metal Pvt. Ltd. are a stockholder of the 32750 duplex alloys in sheet, plate, and round bar with the added capability of cutting processes to meet requirements across a number of industries. Excellent corrosion resistance against general corrosion, stress corrosion cracking, corrosion fatigue, pitting, crevice and erosion corrosion and possessing very high mechanical strength properties. Good weldability, post weld heat treatment not necessary. Max. Temperature for long periods of service: 280°C (536°F) / (300°C/572°F possible for short periods). Surface condition for optimum corrosion resistance: pickled or machined. Duplex UNS32205 is a nitrogen alloyed duplex stainless steel (ferritic-austenetic). It is designed to combine improved resistance to stress corrosion cracking, pitting, crevice corrosion and strength in comparison to other stainless alloys.